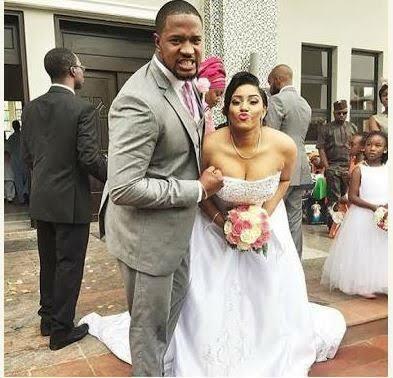 This top Nollywood marriage started on a note of lifetime permanence three years ago. The compatibility of Mofe Duncan and his wife, Jessica was reassuring as they both had endearing qualities that cemented the consummation of their marriage in August 2015. It would be recalled that Duncan had in an interview with a newspaper, revealed how he met his wife. The actor said he was attracted to her within a short period of meeting her because he saw that she had the attributes of a homemaker. He also added that her beauty made me to love her at first sight. Jessicca Duncan though initially scared to date an actor, said she has no regrets being his wife. She added that being his wife is the best thing that has ever happened to her. While the marriage lasted, the couple was once asked if they ever argued, the actor and his wife said the only thing they argued about was the TV remote.